This is Toto and his new Mum, Margaret. Toto’s previous mum died in 2012 and now his Dad has a terminal illness. 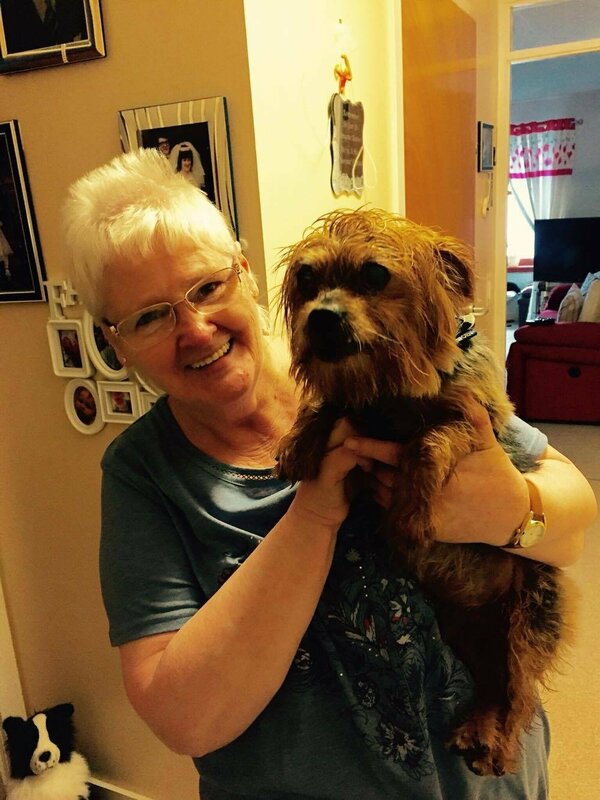 Toto was living indefinitely in foster but now his future is secure with Margaret! 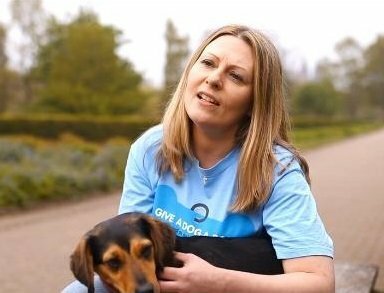 This is just one of the ways we help animals out of homelessness and people through loneliness. You can keep up to date with all our latest news by following us on Facebook. We spend a great deal of our daily lives with our pet companions and many of us feel pretty in tune with them – but would you spot the health warning signs? 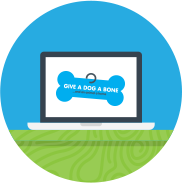 This month’s Bone Blog features pet health. It’s well known that a dog’s nose should be moist and cool, but what other things should you be aware of and when is it time to pick up the phone to consult with a vet? Excessive Drinking: If you notice you are constantly filling up your dog’s water bowl, this shouldn’t be ignored. Excessive thirst/and or frequent urination can be a warning sign of conditions such as diabetes, kidney or liver disease or issues such as Cushing’s disease, which is an endocrine problem. Equally, if your pet seems to be struggling to urinate you should also seek advice, as this could indicate infections, kidney problems, bladder stones or some other obstruction internally. Weight Gain/Loss: If your pet puts on a significant amount of weight for an unexplained reason (without their diet or level of exercise changing) this is something that should be looked into with your vet, as it can be a sign of diabetes, endocrine problems and, in more serious cases, benign/malignant tumours. Persistent Coughing: Kennel cough, heartworm and lung disease can be indicated by coughing or indeed sneezing. Kennel cough generally has a distinctive honking cough and your dog may vomit a white foam-like substance. Kennel cough can become serious if your dog has other health problems or if left untreated. Diarrhoea and Vomiting: Animals may often eat something which causes them to have an upset stomach or vomit and this shouldn’t necessarily give cause for alarm, however, if it persists repeatedly and particularly if there are other symptoms such as them not eating or lacking in energy, it is wise to get them checked out to make sure there is nothing else going on. Persistent vomiting or diarrhoea can cause dehydration, particularly in small animals, and if you see blood in their diarrhoea or vomit you should seek immediate advice. 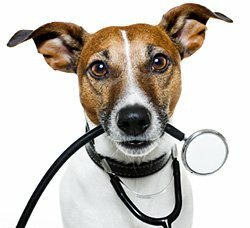 Itching/Biting/Scratching: It’s sensible to have your pet regularly treated for fleas and ticks to prevent infestations, however treatments aren’t always 100% effective – so if you notice scratching or biting at any area of their body, have a good look to make sure they don’t have an extra friend on board! There are more serious conditions such as fungal infections or hormonal problems that can cause an animal’s skin to become irritated, so persistent itching or scratching shouldn’t be ignored, particularly if you notice any hair loss around the area. At certain times of the year there are a lot of grass seeds around so if you notice your dog biting at their paw, particularly between their toes, it is important to get them examined as soon as possible as grass seeds are extremely sharp and painful, and these seeds can travel into the foot and up inside your dog’s leg, resulting in an operation to remove. Fever: If your pet feels hot, has a dry, warm nose or is shivering and weak you should seek advice as a fever is generally a response to some kind of infection. Lack of Energy: If your pet starts to have unexplained tiredness or becomes reluctant to go for a walk or play it is advisable to get them checked over. They may simply be feeling a little off colour, or are becoming less active with age, but there are a variety of illnesses which can cause lethargy so this shouldn’t be ignored. Sudden Difficulty with Balance: This can be caused by a variety of illnesses, some of which are serious and a vet’s opinion should be sought immediately. Loss of Appetite: There are numerous reasons why your pet may go off their food, most of which are harmless and temporary such as having a slightly upset stomach or feeling stressed. However, there are also more serious causes so if they are uninterested in food for more than a day or so you should call your vet. In general, most animals are always keen to eat, play and be sociable – so if you notice changes to any of these aspects of their routine or personality, it is sensible to seek advice from your vet. Want to find out more about our work, where it all started and the stories behind the charity? Watch our video and find out more. One way we raise awareness of the charity is by attending local events. We get to meet our supporters, make new ones and fundraise. 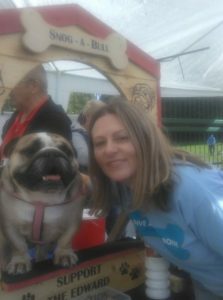 This summer we’ve met lots of people at Canine Capers in Bo’ness, local events in Clarkston and most recently at The Edward Foundation event in Cambuslang where Louise even got a kiss! Thank you for all your support to make it a successful summer for us. We’ve got lots more planned, like a tea party with Contact the Elderly and a stall at Bark in the Park. We care about the rising number of animals in shelters and about loneliness in our ageing years. 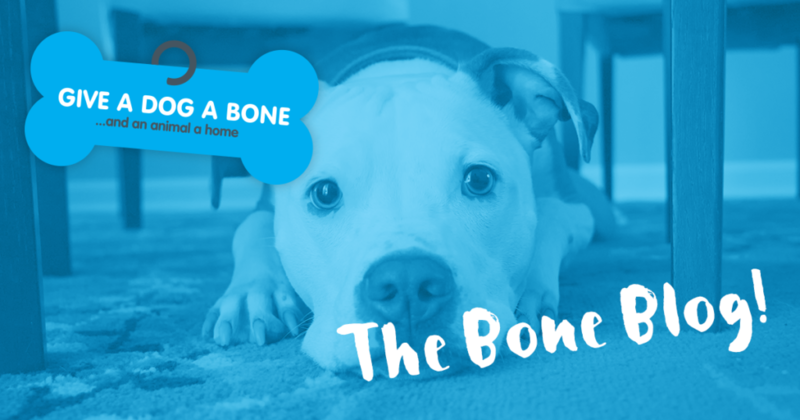 As a supporter of our charity (SC044440) you’ve helped us to change the lives of rescue animals and the over 60’s by spreading the word about us, making donations and creating a network of people that care about the same things we do!